Resident, confined to coastal regions from Mossel Bay to northern KZN. Flies in summer months. Wingspan 35-40 mm. 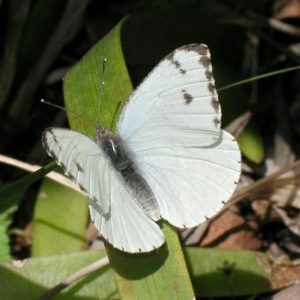 Female has black markings on forewing. Flies throughout the day. Strong flier, sometimes stops at flowers.